Stars twinkle in the night sky as Mike Starkey pursues spring fieldwork on his family farm near Brownsburg, Indiana. But those stars aren’t the only thing glowing on the horizon. Tall buildings in nearby Indianapolis soon are dotted with light, reminding Starkey of his important relationship with the city. Downstream dilemma. Farmers recently have been reminded of just how much of a downstream impact they can have on urban neighbors. 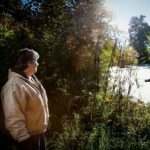 In August 2014, more than 400,000 residents of Toledo, Ohio, were left without drinking water when a harmful algae bloom blanketed an area of Lake Erie near the city’s water intakes. Experts placed much of the blame for the algae growth on dissolved phosphorus leaving agricultural land. In 2015, the Des Moines Water Works filed a lawsuit against drainage districts in three Iowa counties over excessive nitrate in the Raccoon River, the city’s primary water source. The lawsuit asks that agricultural drainage districts be regulated as a point source under the Clean Water Act. Finding answers. These wake-up calls have the agricultural community urgently looking for solutions. Starkey is off to a head start; scientists from Indiana University-Purdue University Indianapolis (IUPUI) recently built an edge-of-the-field bioswale/bioreactor on his family farm. IUPUI’s Center for Earth and Environmental Science monitors water quality at this site. 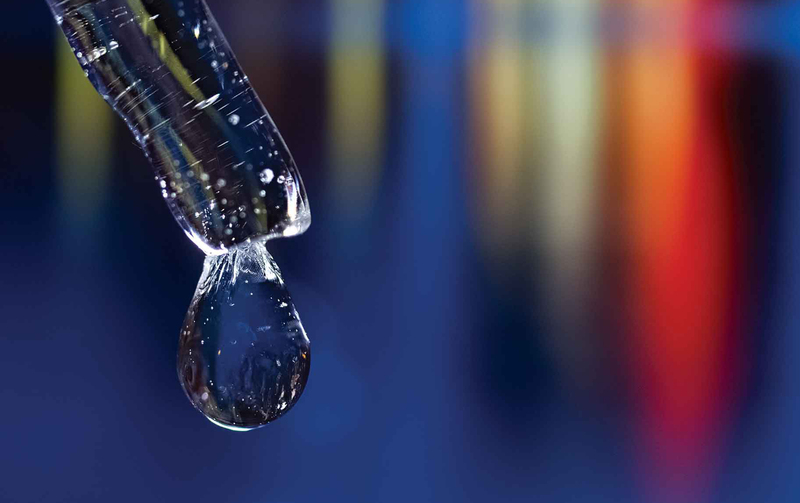 Starkey normally injects liquid P on an as-needed basis, but for the NRCS study, he applied a broadcast application based on Tri-State (Indiana, Ohio, and Michigan) recommendations. That application was made in the fall of 2014, and data collected during the spring flows of 2015 indicated a spike in P leaving his research field. “This tells me I need to stick with my approach of applying P on an as-needed basis, and making sure that it gets attached to clay particles in order to keep it on the farm,” Starkey says. Protecting streams such as Iowa’s West Buttrick Creek can help reduce nutrient loads in downstream watersheds. The alliance approach. In Greene County, Iowa, David Ausberger has been taking steps to protect West Buttrick Creek. This stream is part of the watershed feeding the Raccoon River that serves Des Moines, a city located about 60 miles south of the farm. “In the late 1990s, the Iowa Soybean Association approached growers in the West Buttrick Creek watershed with concerns about high nitrate levels,” Ausberger says. 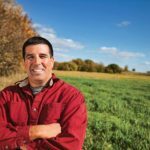 “I felt that farmers needed to take the reins and do something about it.” ISA helped him develop a written Comprehensive Nutrient Management Plan to reduce nutrient losses. The Ausberger farm also features a number of acres in the Wetland Reserve Program, along with generous buffers in sensitive areas along West Buttrick Creek. Ausberger believes the cooperative approach will play a key role in helping farmers reduce nutrient losses from their fields. He points to organizations such as the Iowa Agricultural Water Alliance, formed through a mutual effort of the state’s corn, soybean, and pork producers. IAWA urges farmers to adopt conservation practices that improve water quality. Those practices range from cover crops to bioreactors to restored wetlands. Clarion call. Action to clean up the state’s water resources can’t come soon enough for officials at Des Moines Water Works. 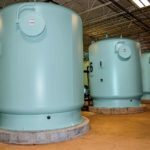 The city’s water utility features one of the world’s largest denitrification facilities, and it ran for 177 days in 2015—the most that the facility has ever been used in one year. Finding ways to effectively manage the greatest possible number of acres was the driving force behind an approach in the Western Lake Erie Basin watershed. The 4R Nutrient Stewardship Certification Program—the four “Rs” stand for right source of nutrients, right rate, right time, and right place—is a third-party certification program for crop advisers and fertilizer retailers. The program uses third-party auditors to verify that these parties understand and use the 4R principles. Carrie Vollmer-Sanders is project director for The Nature Conservancy in addition to being part of a family farm herself. She says the 4R program was designed to help reduce the amount of phosphorus reaching Lake Erie. “Most of the fertilizer applied on cropland in Ohio, Michigan, and Indiana is applied under the guidance of certified crop advisers and retailers,” she adds. 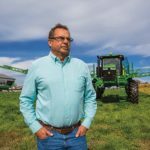 “The agricultural community felt that reaching these companies would have a bigger impact and do it more quickly than trying to reach individual farmers.” That approach has been successful; the 4R program has already signed up service providers that cover about 20% of the Western Lake Erie Basin watershed, representing more than a million acres of cropland. Kevin King, a soil drainage expert with the USDA’s Agricultural Research Service in Columbus, Ohio, agrees that the 4R approach can help cut the amount of P entering Lake Erie. But there’s much more work to be done in this watershed, which hosts an estimated 600,000 miles of drainage tile. An edge-of-field practice such as this constructed wetland can help filter nutrients while providing habitat for wildlife. Mike Starkey farms adjacent to a reservoir that supplies Indianapolis, Ind., with drinking water. 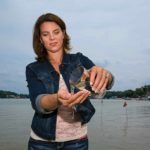 Carrie Vollmer-Sanders, project director for The Nature Conservancy, says a program certifying ag retailers in “4R” training can help protect water quality in Lake Erie. 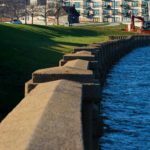 High nitrate levels in river water supplying Des Moines, Iowa, has led that city’s public water utility to file a lawsuit against drainage districts in the state. The denitrification facility at the Des Moines Water Works, one of the world’s largest, was put into action for a record 177 days during 2015.